Tell us about your project. We’re here to help. Your project requires precision. That’s why we collaborate with you to customize the right solution. Draper merges the technology you want and the functionality you expect with the design you desire. We do more than manufacture shading, audiovisual and athletic systems. We listen to your needs and build to exceed your expectations. 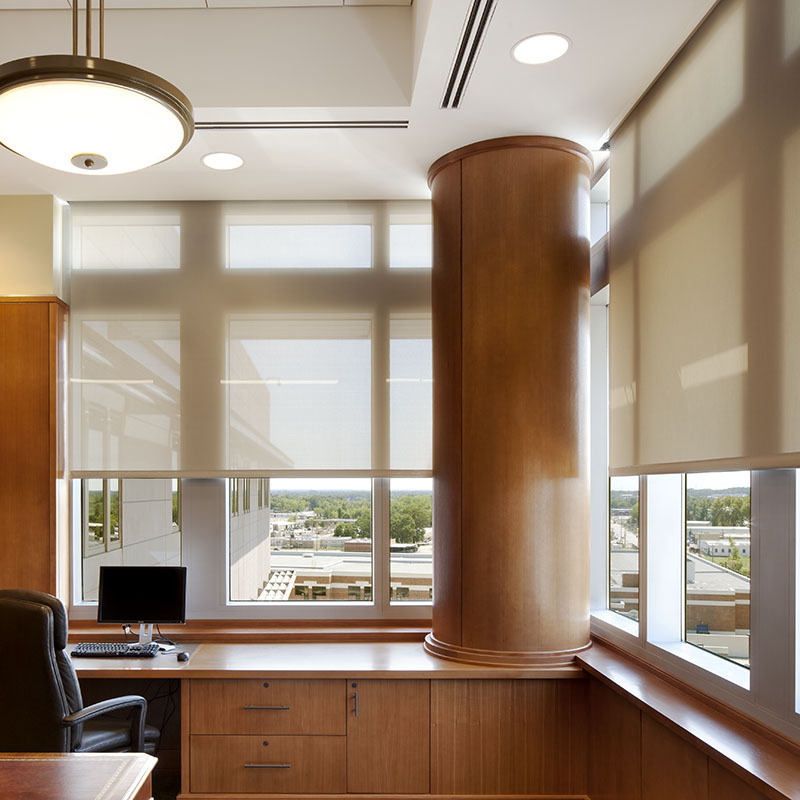 IntelliFlex I/O is a complete control solution for motorized shades that is flexible and expandable to the size and complexity of a project. Premium ambient light rejecting projection surface that features optimal image performance with ultra short throw and short throw projectors. Rechargeable, motorized window shade provides quiet operation and easy installation for difficult applications with no wiring needed. Powerful, flexible smart control for basketball backstops, height adjusters, divider curtains, and more with the touch of a button. Flexible motorized lift designed specifically to raise and lower projection screens and other equipment up to 34 feet. Premium manually-operated window shade featuring a heavy-duty clutch and optional fully assembled cassette style installation.